It’s still hot. Despite cool overnight lows, today saw us mostly fighting for shade more than anything else. The dogs were happy to get some relief from the river (me too). Luckily, I was up early enough to enjoy a little more campfire cooking. 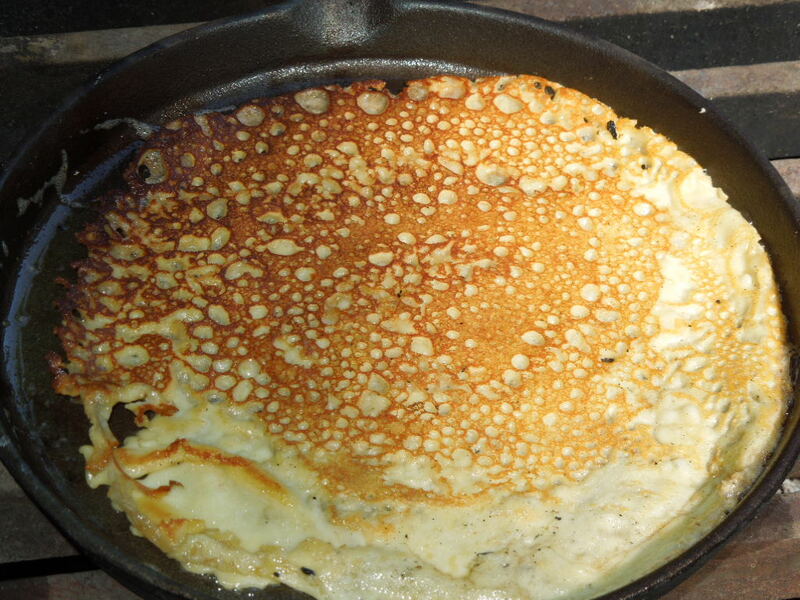 This morning I decided to do crepes over the fire. What a nice treat! Whisk all ingredients together until smooth. With your fire on high heat and the griddle preheated over the grill grate, place a small cast iron pan over the grill and let it heat completely. Place a small amount of butter on the pan, let melt and distribute it around the pan. Spoon batter, a tablespoon at a time on the pan while swirling the pan to distribute batter evenly. Cook for about 1 ½ minutes or until golden on the underneath. Carefully run your spatula around the edges of the pan and flip over. Cook for 1 ½-2 minutes more. Remove from pan, serve hot and repeat often! 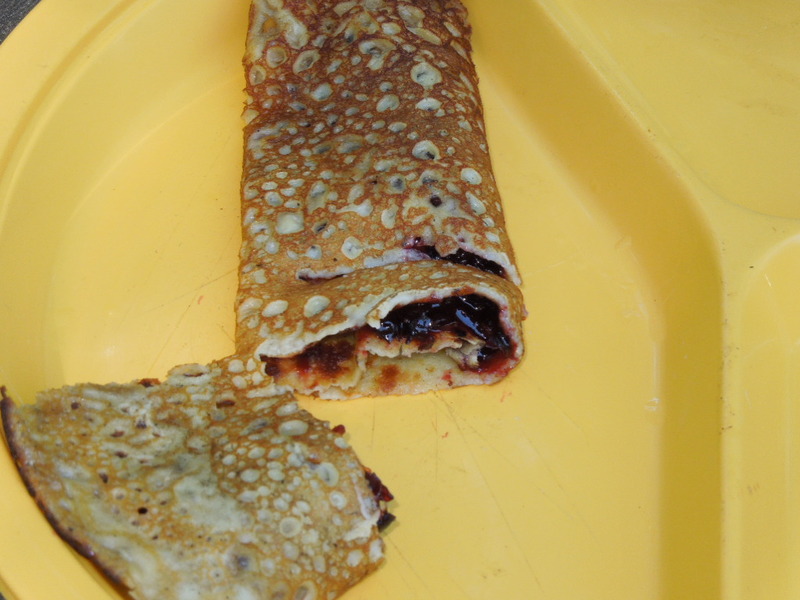 This morning we served them with my home made cherry jam. Delish! 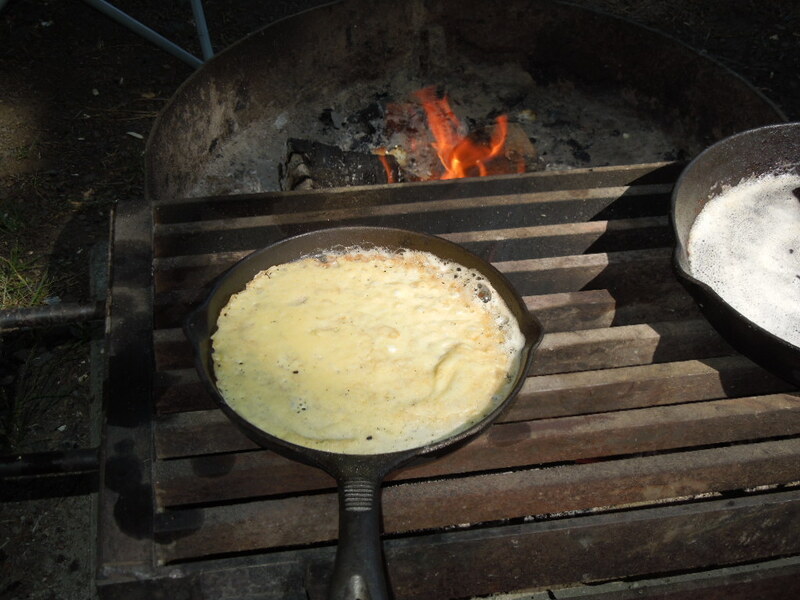 Tags: campfire cooking, cooking crepes on the campfire, crepe recipes, crepes, food, recipes. Bookmark the permalink.